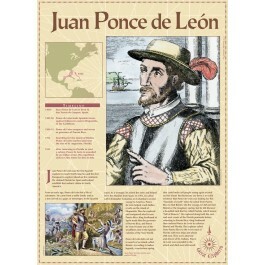 Ponce de Leon was the first Spanish explorer to reach North America. He claimed Florida for Spain and helped establish Spain's claims in North America. 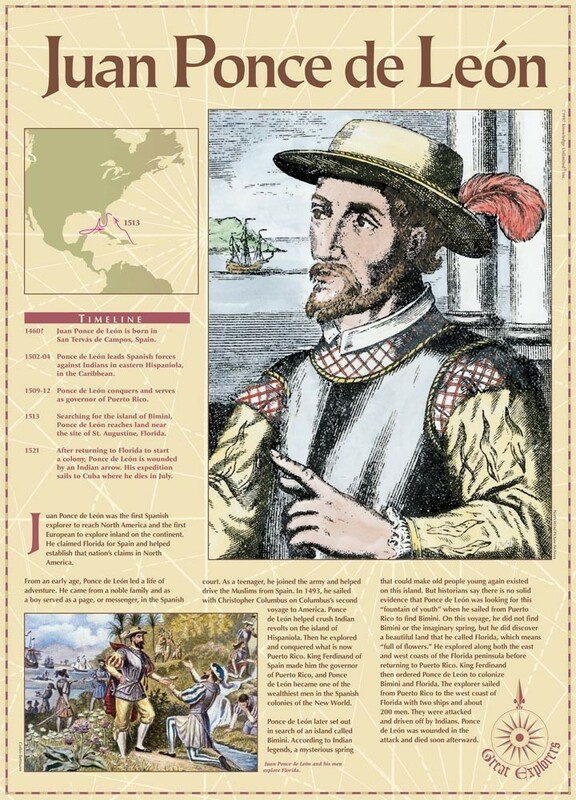 This educational poster introduces students to Ponce de Leon with explanatory text, a map and timeline, and a beautiful art image.